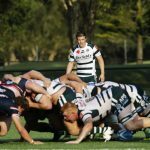 Following a round of upsets, it’s difficult to know what to expect in round three QLD Premier Rugby action. We spoke to the coaches ahead of Saturday’s matches. After blowing Easts away in the final 20 minutes of their round one clash, UQ were a different side in a disappointing loss to Bond last weekend. “Our attitude wasn’t where it needed to be and as a result we were outmuscled at set piece and in contact. 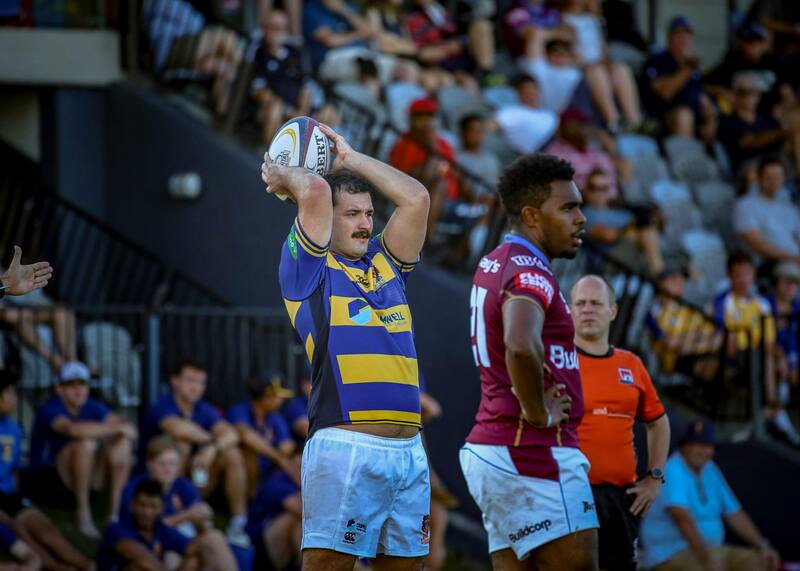 That meant we weren’t able to attack effectively,” UQ coach Mick Heenan told Rugby News. Adam Korczyk and Jock Campbell will miss Saturday’s clash after being called into the Reds squad to travel to South Africa and will be replaced Connor Moroney and Lachlan Sperling (making his starting debut). Tom Vaessen and Joss van Eeden both also return to the starting side at lock and No.9 respectively. “Our work at the breakdown and at scrum time are probably the two biggest areas we need to improve,” Heenan said. After starting the season with an impressive win over Sunnybank, Souths were also disappointing in a 20 point loss to Brothers. 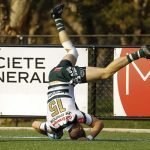 “We didn’t handle the wet conditions well at all and made over 10 handling errors, which Brothers capitalised on,” Souths coach Elia Tuqiri told Rugby News. 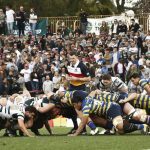 “After going three tries down, we had to try and play catch up footy in the second half and that led to more handling errors. “Brothers won the physical battle in the first half and that put us on the back foot for the rest of the game. Tuqiri said the Magpies will face a similar situation this weekend. Jeeps’ title defence hit a road bump when Eli Pilz kicked a long range penalty goal to hand Easts a one point win last Saturday. In their first Premier Rugby outing of the year, the defending premiers struggled to adapt to the wet conditions according to coach Elwee Prinsloo and gave away far too much ball. “We’ve spent the week focussing on playing our style of rugby. We need to convert our opportunities and turn pressure into points,” Prinsloo said. Prinsloo has made several changes to his forward pack to play Bond, with Ollie Bartlett to start at lock, Tom Kibble at No.7 and Michael Richards at No.8, while Alfonso Horomia has been named at inside centre. “Bond are a very well coached team,” Prinsloo said. Bond caused one of the upsets of the weekend, beating UQ 32-14 on the back of a dominant defensive effort. Despite a round one loss, the Gold Coast side find themselves in third after picking up two bonus points and can cement their spot in the top four with a win away on Saturday. Brothers take on Wests in a top of the table clash that few would have predicted leading into round one. After holding out Bond in an ugly win on the opening weekend, Brothers were impressive in the wet against Souths last week and proved that they’re a very different side to the one that failed to threaten for a spot in the finals in 2018. Brothers flyhalf Rohan Saifoloi controlled the game perfectly in the wet and looks to have found his feet nicely in Brisbane after returning from Sydney. “Across the park, I’ve been really impressed with our guys so far this year. It’s difficult to single anyone out but we’ve had two balanced performances to start the year which is nice,” new Brothers coach Rod Seib told Rugby News. Aiden Toua has been ruled out of Saturday’s clash, with Lawson Creighton named at fullback and Reds recruit Seb Wileman set to make his Brothers debut in the centres against the Bulldogs. “Wests have looked really good. They’ve obviously got a lot of points in them and they’ve shown that in the opening two weeks but I’m confident in our defence,” Seib added. The Bulldogs have ran in 12 tries in their opening two matches but Wests coach Pat Byron still thinks his side has a lot of improvement in them. “Out set piece has been solid and we’ve been able to generate plenty of good first phase ball, but I still think our execution could be better,” Byron said. “Like most teams in the early rounds, we’re probably not finishing line breaks as well as we can, so that’s an area we’ll need to improve. Byron has named an unchanged starting side to take on the Brethren in a match that he expects will be tight. “They were very disciplined in the way they beat Souths, which was impressive,” he said. Keep an eye on Dogs No.12 Issac Henry, who is yet to miss a conversion after 11 attempts. Norths and Sunnybank will both be searching for their first win of the season when they meet at Shaw Rd on Saturday afternoon. 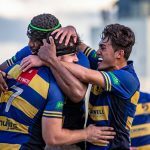 “We’ve spent a lot of time implementing systems and structures across the grades so that all of our players know how to defend and when guys move up the grades, they have confidence that they can play their role because the terminology and the structures are all the same,” Oxford told Rugby News earlier this year. Sunnybank again showed signs of promise in their loss to Wests but for the second straight week failed to produce an 80 minute performance. The Dragons leaked 21 unanswered second half points in the 35-14 loss after going to half time locked at 14 all. If they can replicate their first half performance from last week over 80 minutes against Norths, they’ll be hard to beat.